Between October 18 and October 20, heavy fighting raged on the outskirts of Kilinochchi, with SLA troops attempting to break through LTTE bunker lines. During these two days 36 SLA soldiers were killed and 48 were wounded in contrast to 12 Tamil Tiger fighters killed. This resulted in the deaths of some soldiers and the sickening of others. Also, the military was not able to punch through the last of the LTTE bunker lines before the city because of heavy rains due to the monsoon season and also because most of the troops were needed to secure rebel territory that was rapidly taken in the previous two months after the LTTE's quick retreat to the north. With SLA forces stretched that territory was coming under hit and run attacks by the rebels. Even the Sri Lankan Air Force was not being able to dislodge the rebels from their positions on the roads into Kilinochchi. The city had, by this point, been evacuated of all civilians and the LTTE were preparing bunker positions within the town. Earlier in the month the SLA stated they would take the rebel capital within days, however more than two weeks later operation maps at press briefings showed they were still 10 to 15 kilometers from the town, in contrast with their previous statements of being only two kilometers from Kilinochchi. 1 2 "Military developments 2007". Armed Conflict Database,. Archived from the original on 11 January 2009. Retrieved 2009-01-12. ↑ Jabbar, Zacki (2008-12-07). "Opposition leader rebutts Sri Lankan government claims". The Island. Archived from the original on 26 December 2008. Retrieved 2009-01-12. 1 2 3 "Sri Lanka Database - Casualties of Terrorist violence in Sri Lanka". Archived from the original on 2009-06-02. Retrieved 2009-05-29. 1 2 The Times - Sri Lankan military attack stalls Archived May 28, 2009, at the Wayback Machine. ↑ Buncombe, Andrew (12 February 2010). "Up to 40,000 civilians 'died in Sri Lanka offensive'". The Independent. London. Retrieved 23 May 2010. 1 2 "Slaughter in Sri Lanka". London: The Times. 29 May 2009. Retrieved 29 May 2009. 1 2 "Sri Lanka rejects deaths report". BBC News. 29 May 2009. Archived from the original on 29 May 2009. Retrieved 29 May 2009. ↑ "'20,000 Tamils killed during final assault against LTTE'". Chennai, India: The Hindu. 29 May 2009. Archived from the original on 2009-06-02. Retrieved 29 May 2009. ↑ "Sri Lanka hit by fresh allegations of civilian deaths". Sydney Morning Herald. 29 May 2009. Archived from the original on 2009-06-02. Retrieved 29 May 2009. ↑ "Paper: 20,000 killed in Sri Lanka conflict". CNN. 29 May 2009. Archived from the original on 30 May 2009. Retrieved 29 May 2009. 1 2 "Sri Lanka fighting 'killed 20,000'". Al Jazeera. 29 May 2009. Archived from the original on 29 May 2009. Retrieved 29 May 2009. ↑ "Over 20,000 died in S.Lanka rebels' defeat-paper". Reuters. 29 May 2009. Archived from the original on 30 May 2009. Retrieved 29 May 2009. ↑ "Sri Lanka Timeline - Year 2008". South Asia Terrorism Portal. Archived from the original on 9 May 2008. Retrieved 2008-05-20. ↑ Ramachandran, Sudha (2008-01-05). "Sri Lanka takes off the gloves". Asia Times Online. Retrieved 2008-07-16. ↑ "Tigers prepare to face Army's mechanised infantry". 2008-03-28. Retrieved 2008-07-16. ↑ "SLA blocked in three fronts in Mannaar- LTTE". Lanka Newspapers. 2008-02-19. Retrieved 2008-07-16. ↑ "Sri Lanka captures rebel naval base". ukpress.google.com. July 16, 2008. Archived from the original on July 19, 2008. Retrieved 2008-07-16. ↑ "Tamil Tiger sea base 'captured'". BBC. 2008-07-16. Retrieved 2008-07-16. ↑ "Sri Lanka: Vidattaltivu Liberated; terrorists suffer fatal blow". www.lankamission.org. 2008-07-16. Archived from the original on 1 August 2008. Retrieved 2008-07-17. ↑ "Sri Lanka military captures key northern town - govt". Reuters. July 16, 2008. Retrieved 2008-07-16. ↑ "Sri Lankan troops capture rebel base in north". Xinhua. 2008-07-16. Archived from the original on 19 July 2008. Retrieved 2008-07-16. ↑ "Strategic Sea Tiger base captured". Chennai, India: www.hindu.com. 2008-07-17. Archived from the original on 3 August 2008. Retrieved 2008-07-17. ↑ "Sri Lanka Air Force pounds Tamil Tigers withdrawing from Vidattaltivu". Archived from the original on 19 July 2008. Retrieved 2008-07-16. ↑ "Air Force pounds withdrawing terrorists - North of Vidattaltivu". 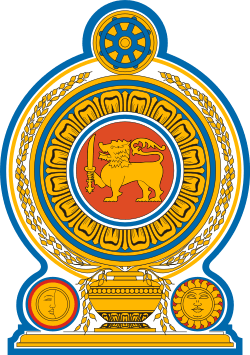 Ministry of Defence (Sri Lanka) / Sri Lanka Armed Forces. 2008-07-16. Archived from the original on 20 July 2008. Retrieved 2008-07-17. ↑ NESSMAN, RAVI. "Sri Lanka captures key Tiger base at Elephant Pass". COLOMBO, Sri Lanka: Yahoo! Singapore News. Associated Press. Retrieved 2009-01-12. ↑ WIJAYAPALA, Ranil (2008-11-02). "LTTE hopes diminish after losing key defence line". Sundayobserver.lk. Archived from the original on 6 December 2008. Retrieved 2009-01-12. ↑ "Sri Lanka troops suffer major battlefield loss". Channelnewsasia.com. 2008-10-20. Retrieved 2009-01-12. 1 2 3 AFP (2008-10-20). "Sri Lankan military attack stalls". COLOMBO, Sri Lanka: The Times. AFP. Archived from the original on 2009-05-28. Retrieved 2009-01-12. ↑ "Sri Lanka army 'breaks' Tiger lines". Al Jazeera English. 2008-10-19. Retrieved 2009-01-12. ↑ "Sri Lankan soldiers capture three strategic towns from rebels". COLOMBO: channelnewsasia.com. 2008-11-17. Retrieved 2009-01-12. ↑ Sabapathy, David (2008-11-19). "Sri Lanka Battles take Heavy casualties". COLOMBO: Tamileelamnews.com. Retrieved 2009-01-12. ↑ "SLA death toll hits 170 in Vanni, hundreds wounded, 36 bodies recovered - LTTE". TamilNet. 2008-12-17. Archived from the original on 15 January 2009. Retrieved 2009-01-12. ↑ Ratnam, Charles (2008-12-18). "LTTE releases photos of SLA debacle". Vavuniya: TamilEelamNews. Archived from the original on 19 January 2009. Retrieved 2009-01-12. ↑ Sabapathy, David (2008-12-17). 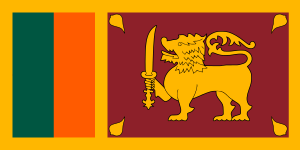 "(Update-2) Sri Lanka loses two battalions troops in the latest battles". COLOMBO: TamilEelamNews. Archived from the original on 19 January 2009. Retrieved 2009-01-12. ↑ "Tigers recover 12 SLA bodies after preemptive strike, 60 killed, 150 wounded". TamilNet. 2008-12-20. Archived from the original on 15 January 2009. Retrieved 2009-01-12. ↑ DPA (2008-12-21). "12 soldiers killed, 16 missingin Sri Lanka combat". India World. Colombo: Earthtimes.org. Retrieved 2009-01-12. ↑ "Sri Lankan forces take over last LTTE bastion". CNN-IBN. January 2, 2009. Retrieved 2009-01-02. ↑ "Sri Lanka Says It Enters Rebel Capital". New York Times. Associated Press. January 2, 2009. Retrieved 2009-01-02. ↑ "Sri Lankan troops seize rebel HQ". BBC News. 2009-01-02. Archived from the original on 7 January 2009. Retrieved 2009-01-12. ↑ "Sri Lanka army chief: Troops have taken key rebel stronghold - CNN.com". CNN. 2009-01-25. Retrieved 2010-04-22. ↑ BBC Monitoring South Asia (12 May 2009). "Human Rights Watch condemns Sri Lankan army shell attacks". BBC. ↑ Gethin Chamberlain (11 May 2009). "Hundreds dead in Sri Lanka attack, says doctor: Army denies onslaught on new civilian 'safe zone': Medical staff inside area swamped by casualties". The Guardian. ↑ "LTTE's last stronghold likely to fall". The Hindu. Chennai, India. 2009-02-25. Retrieved 4 August 2010. ↑ TamilNet. "TamilNet: 11.03.09 Tigers blast 6 Sri Lankan artillery positions in Vanni". Archived from the original on 2009-06-10. Retrieved 2009-03-26. ↑ Ramesh, Randeep (2009-03-21). "Tamil Tigers 'finished', says former leader". The Guardian. London. Retrieved 2010-04-22. ↑ "LTTE offensive repulsed: Terrorists take heavy beating- Mullaittivu". Ministry of Defence (Sri Lanka) / Sri Lanka Armed Forces. 2009-03-25. Archived from the original on 28 March 2009. Retrieved 2009-05-03. ↑ "53 Div, TF -8 troops close-in-on last LTTE foothold: seize section of earth bund at Puthukudiyirippu". Ministry of Defence (Sri Lanka) / Sri Lanka Armed Forces. 2009-03-25. Archived from the original on 28 March 2009. Retrieved 2009-05-03. ↑ "Terrorism Update". Archived from the original on 2009-06-11. Retrieved 2009-05-03. ↑ Sri Lanka Army Captures Tamil Tiger Coastline: Rebels 'Will Be Defeated In 48 Hrs' | World News | Sky News Archived May 17, 2009, at the Wayback Machine. ↑ Sri Lanka Rebels Concede Defeat, Voice of America, 2009-05-17. Accessed 2009-05-29. Archived 2009-06-02. ↑ Nelson, Dean (2009-05-18). "Sri Lanka: Tamil Tiger leader Velupillai Prabhakaran and his lieutenants 'eliminated'". The Daily Telegraph. London. Retrieved 2010-04-22. ↑ "Tamil Tigers admit leader is dead". BBC News. 2009-05-24. Retrieved 2009-05-30. ↑ "Chattanooga Times Free Press | U.N. envoy heads to Sri Lanka; civilians flee war". Archived from the original on 2009-06-02. Retrieved 2009-05-29. ↑ Chamberlain, Gethin (2009-05-29). "Sri Lanka death toll 'unacceptably high', says UN | World news | guardian.co.uk". London: Guardian. Archived from the original on 12 June 2009. Retrieved 2009-05-30. ↑ "171 SF Killed and 1122 Injured in October - Sri Lanka's PM". Colombo: TamilEelamNews. 2008-11-04. Archived from the original on 2009-06-11. Retrieved 2009-01-12. ↑ Jayasinghe, Amal (2008-12-16). "145 dead in Sri Lanka after heavy fighting: Military". Edmontonjournal.com. AFP. Retrieved 2009-01-12. ↑ "3,000 Sri Lankan troops killed in three months, Army to double – newspapers". TamilNet. Retrieved 2009-01-12. ↑ "Sri Lanka admits bigger war losses". Yahoo! News. Archived from the original on 2008-03-06. Retrieved 2008-03-06. ↑ "200 soldiers killed, 997 injured in September in Sri Lanka". COLOMBO: Xinhua. 2008-10-07. Archived from the original on 11 December 2008. Retrieved 2009-01-12. ↑ "31 killed in fighting in northern Sri Lanka -". Yahoo News. DPA. 2008-03-13. Archived from the original on June 6, 2011. Retrieved 2009-01-12. 1 2 3 4 5 6 Sharma, Betwa (26 April 2011). "Sri Lankan Army, LTTE likely committed war crimes: UN". PTI. Retrieved 5 January 2012.